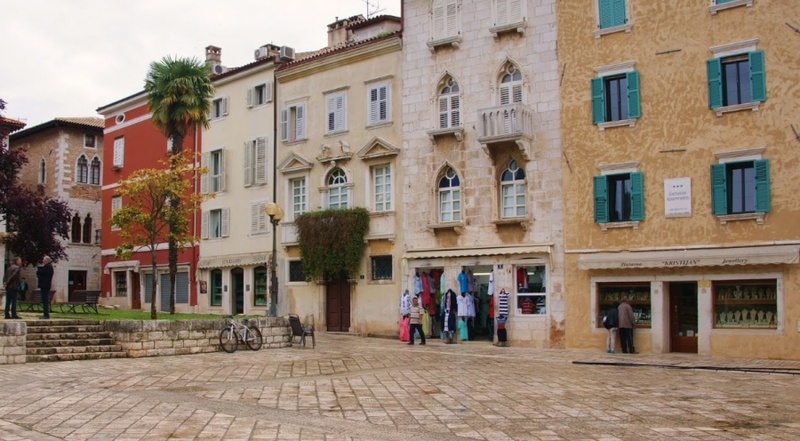 Poreč ist eine Stadt an der Westküste der Halbinsel Istrien und eine der meistbesuchten touristischen Städte in Kroatien. Heute ist der Tourismus die Hauptaktivität, die die Wirtschaft von Poreč antreibt. Die Stadt ist reich an historischen Denkmälern, kulturellem Erbe sowie starkem touristischem Angebot. Es wird angenommen, dass die Stadt ungefähr zweitausend Jahre alt ist. Die Stadt Poreč gehört zu drei kleineren Inseln, die gelegentlich bewohnt oder unbewohnt sind. In früheren Zeiten war Poreč eine Stadt der Landwirtschaft und Fischerei, aber mit der Zeit wurde Poreč eine Stadt des Tourismus. Heute leben die meisten Bürger direkt oder verlassen sich auf diesen Entwicklungszweig. Die meisten Menschen sind in der Vermietung von Wohnungen und verschiedenen touristischen Aktivitäten beteiligt. Das Angebot in Porec ist in jeder Hinsicht hervorragend. Eine große Auswahl an Mietwohnungen und Strände in dieser Stadt sind nach den höchsten Standards der Welt ausgestattet. Wenn wir ein reiches historisches Erbe hinzufügen, können wir nur das vollständige und vollständige Bild dieser Stadt sehen. Wir bringen Ihnen eine Liste der berühmtesten Sehenswürdigkeiten und Orte, die Sie besuchen müssen, wenn Sie in Porec oder Poreč sind, sowie in Istrien. 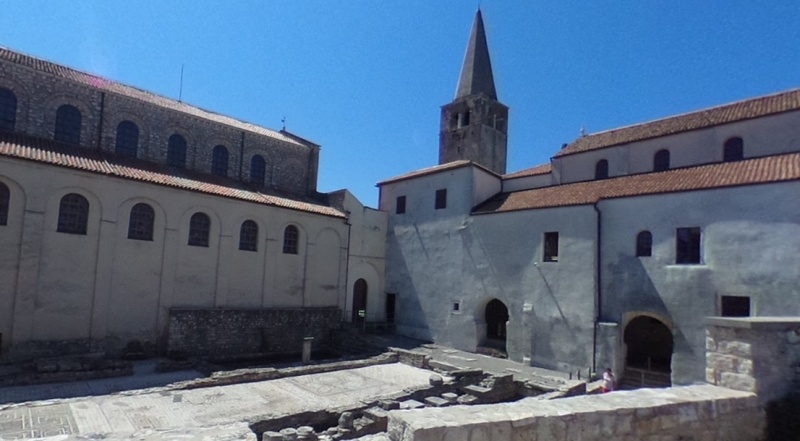 Euphrasius Basilica in Poreč began with construction in 553 and is one of the oldest and most beautiful preserved monuments of early Byzantine art in the Mediterranean. Today it is considered the most beautiful preserved monument of early-art art in the Mediterranean. The basilica was built in the 6th century at the time of the Bishop Euphrasia and Emperor Justinian I. The importance of this basilica is enough to be said by the fact that in 1997 the Euphrasian Basilica in Poreč was included in the UNESCO World Cultural Heritage List. The complex we see today is made up of Euphrasian Basilica, Parish Church, Sacristy and Whole Tricot, Fontana and Bell Tower, Mauro Oratory as well as the nearby Bishop's Court. It is interesting to note that the latest contemporary research found that the bishop's palace belonged to the same Byzantine period as the Basilica itself. It contains a sacral collection of the Porečko-pulske Diocese. The complex boasts a rich collection of sacral monuments, art objects and, of course, archaeological remains found in the basilica and its immediate vicinity. Particularly valuable mosaics dating back to the 3rd century. 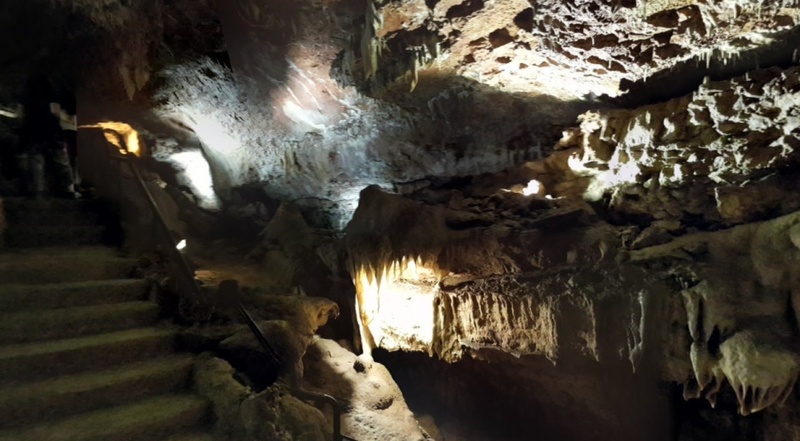 Jama Baredine is a protected geomorphological monument of nature and the first speleological site in Istria designed for tourist purposes. Jama is located near Nova Vas, between Poreč, Visnjan and Tara. The location was opened in 1995. This cave is a treasury of stalactites and stalagmites, the underground sculptures made with the patient work of the decade. Aquapark Aquacolors near Poreč, a total investment of 25 million euros is open for the season of 2015. 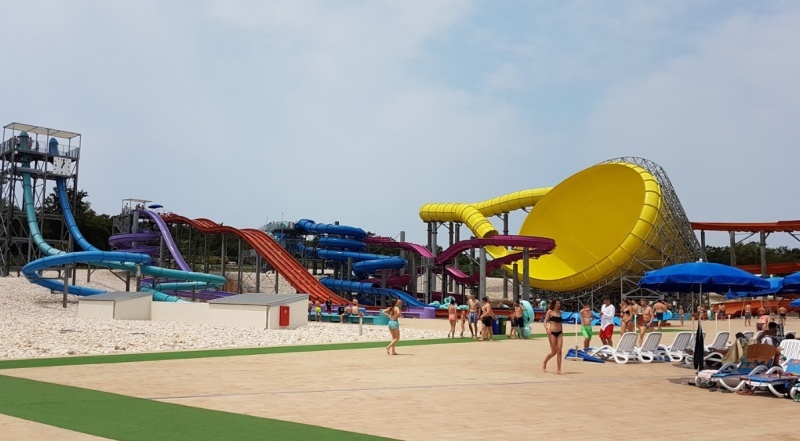 Aquacolors is the largest water park in Croatia, offering 500 meters long river, 3 swimming pools and 4 playgrounds, 12 water slides, 5 restaurants and daily animation content. The water park is intended for all ages, so there are attractions for children and those with a little more adrenaline for adults. 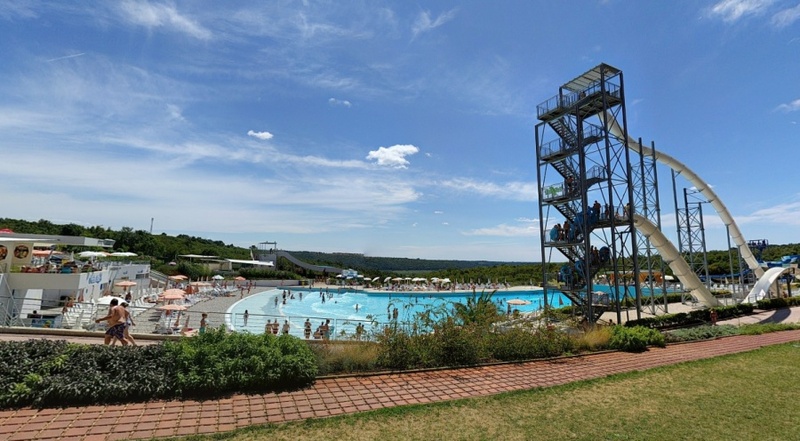 Aquapark Istralandia is a fun water park nearby which is about 5 kilometers from Novigrad towards the interior of Istria. 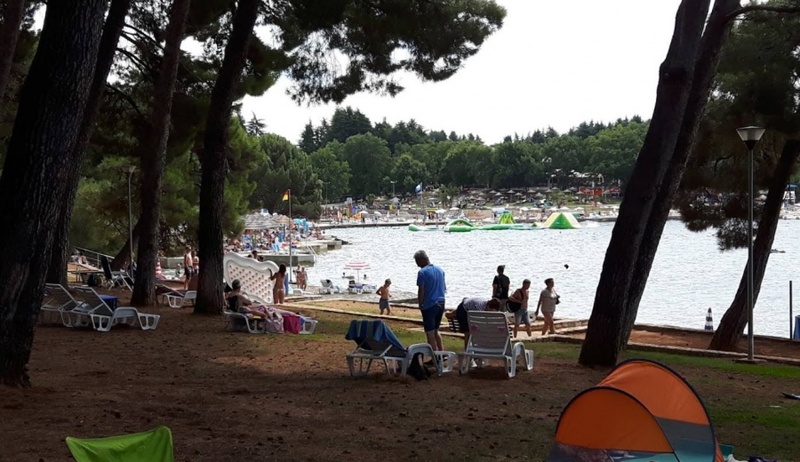 The park is open in 2014 and is the first water park in Istria, located on an area of 80,000 sqm and offers many attractions for children and adults. Trg Marafor Poreč is the former Roman Forum where public gatherings took place. There was in the past a great Roman sanctuary, or Mars's temple from which only the rest were left today. The square was then much bigger than today. The original pavement is still preserved today along the northern row of houses on the square. To the west of this rectangular square, within the small park are the ruins of the Neptune's 1st century century devoted to the sea god. Church of Our Lady of Anđela is located in the Liberty Square in Poreč, not far from the Old Town core. The church was built in Baroque style in 1746 at the site of the remains of the Romanesque church. The church boasts a beautiful baroque bell tower of 18 meters high. Inside the church there are several altars and on the main altar there are statues of the Blessed Virgin Mary, St. Catherine and Saint Dominic. In the church there are orgasms from 1924 that were moved here from the basilica. Bishop Gaspar Negri here built a Dominican monastery that was abolished in 1806. The local museum of Porec or Poreč is a museum that inherited two previous museums: the Provincial Archaeological Museum of Istria, which was founded in 1884, and the City Museum of Art and History, founded in 1926. Their museum fundus is included in today's museum. Since 1952, this fundus is located in the baroque palace of the Sincic family. Museum of care of several buildings and sites of cultural and historical importance in the city of Porec and in the wider area of Porec. The primary task of the Museum is to collect, preserve and explore the civilizational and cultural assets of Poreč and Poreč. The museum presents valuable historical moments to the public through its professional and scientific work. The Rovinj Aquarium is located in a centuries-old building located within the Maritime Research Center of the Ruđer Bošković Institute, where you can experience all the diversity of the Adriatic underwater world. It was opened in 1891 as the Berlin Aquarium Zoo and is one of the oldest institutions of this kind in the world. The aquarium is open to visitors and abounds in patterns of local flora and fauna that represent typical communities living in our underwater world. The Aquarium is an interesting and beautiful collection of different types of fish, crabs, shells that inhabit the Adriatic. 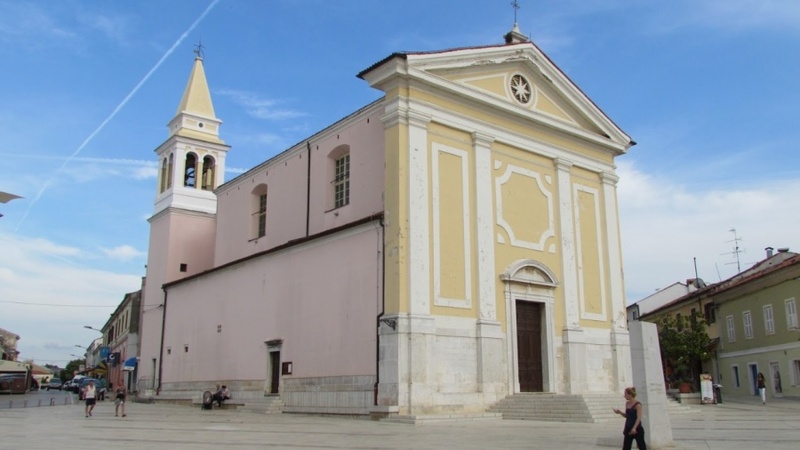 The church of St. Euphemia is also known as the church of St. Fume, the most famous monument in Rovinj. At the place where today's church is situated, there was once a small church of St. Jura, on whose site in the 10th century a new, bigger church is being built. The Rovinj Town Museum is located on the Marshal Tito Square 11, in the baroque palace of the Counts of the Califfs of the 17th century. It is open every day from 10 to 22 o'clock. The Museum was founded in 1954 at the initiative of Rovinj artists and divided into several departments. The Department of Archeology consists of the archaeological and numismatic collection, the Ethnographic Department, the Department of History, Fine Arts and the Library. Various exhibitions and activities are also organized in the museum area, which are announced on the museum-rovinj.hr museum website. 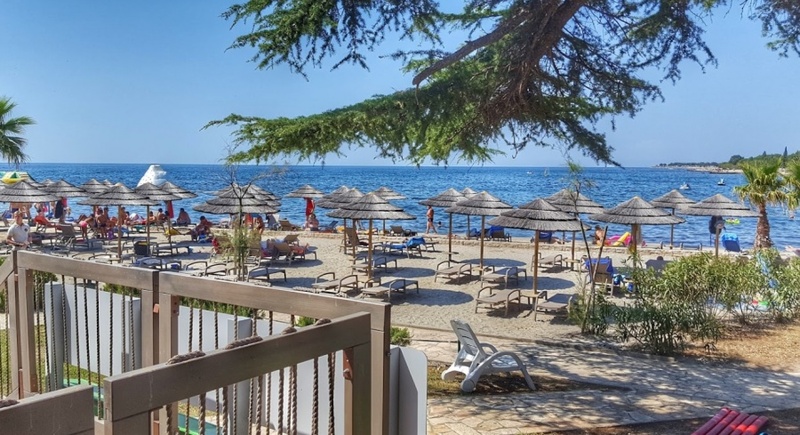 In the center of Porec there is a large beach completely furnished for swimming and enjoying the coast. This is the main city beach, and since Poreč is one of the most famous tourist towns, we are not surprised by the rich offer of tourists. Near the beach is Plava Laguna Poreč. The beach is maximally adapted for all age groups. The tiled plates are covered with stone. The beach has a gentle water access, and is well equipped. 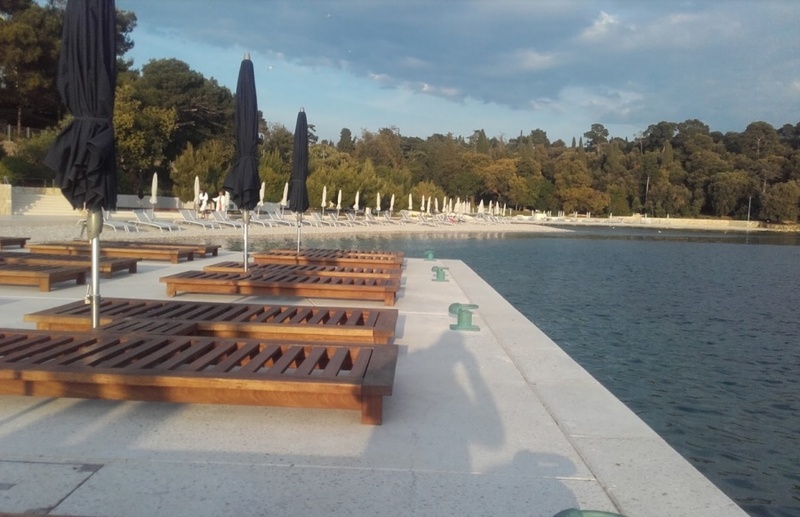 On the small peninsula of Poreč, between the restaurant and the luxury hotel is the Perentium beach. It is spacious and receives a large number of guests. The beach is naturally rocky, but is mostly concreted and covered with stone. All this makes it easy to walk in the beach, enter the sea and go after a refreshing swim. Behind the beach is a pine forest, an ideal place to unwind from the strong sun. When you have bathed and sunbathed enough, we recommend that you come to the nearby restaurant and order your favorite meal. Enjoy tasty snacks, watching the setting from the restaurant terrace. We invite you to come and enjoy our beach. In the village of Špadići, Poreč beach is located in Poreč. It stretches along the coast, is popular and very busy. Apart from the swimmers, the beach visits the guests as they walk and walk around the shore. Next to the beach there are catering facilities, cafes and restaurants with terraces ideal for enjoying the sunset. If you've been away somewhere near, come and spend the evening on this part of the coast. The view of the bay is enchanting, relaxed and certainly inspires beautiful feelings in man. The experience will be complete if you choose to sit and spend time with a pleasant conversation with the person next to you. 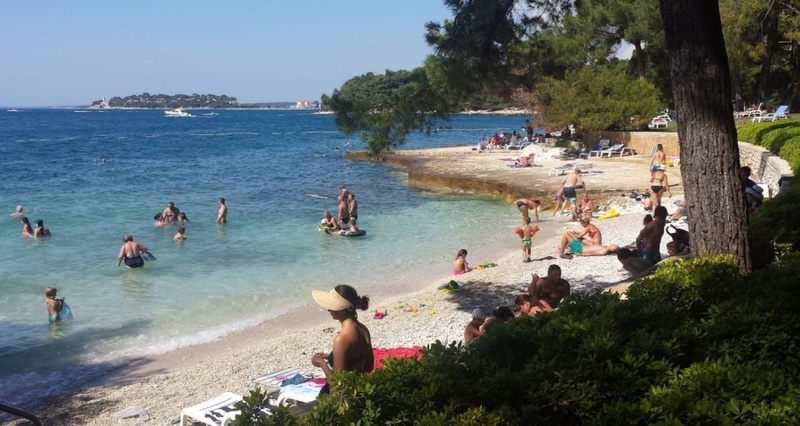 At the very entrance to Poreč, on the north side, this beautiful beach is located. It is special on the pebble part on one side, while the end of the rock is descending into the sea. Behind the beach is a grassy, green plain with accompanying facilities and tourist content. How to make the beach in a tourist resort, and our beach is very well decorated and well equipped. There is no natural shade on the beach, which is why sunshades are good. If you do not have a sunshade you can rent it, just like a sun lounger. 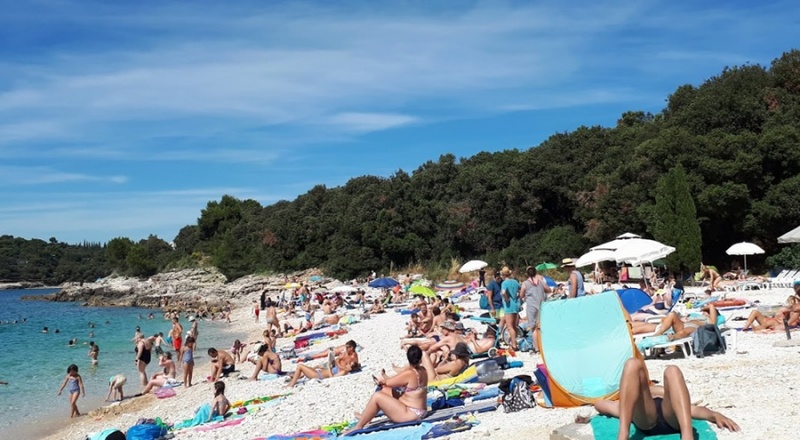 Amber Beach is one of the most popular beaches in Pula, located in the tourist area of Verudela, on the western side of the peninsula and continues on the Brioni beach. Nearby is the popular Puljska beach Hajvajka. From the center of Pula is about 4 kilometers away. The beach has a blue flag for the purity of the sea, the neatness of the beach and the offer. Because of the gentle entrances to the sea, Ambrel pebbles are very popular for families with children. On the beach you can rent sun umbrellas and sun loungers and enjoy various sports and adrenaline activities. If you are a little away from the central part of the pebble beach you can find shade in the nearby pine forest, in these parts is a rocky beach with smaller pebble beaches. 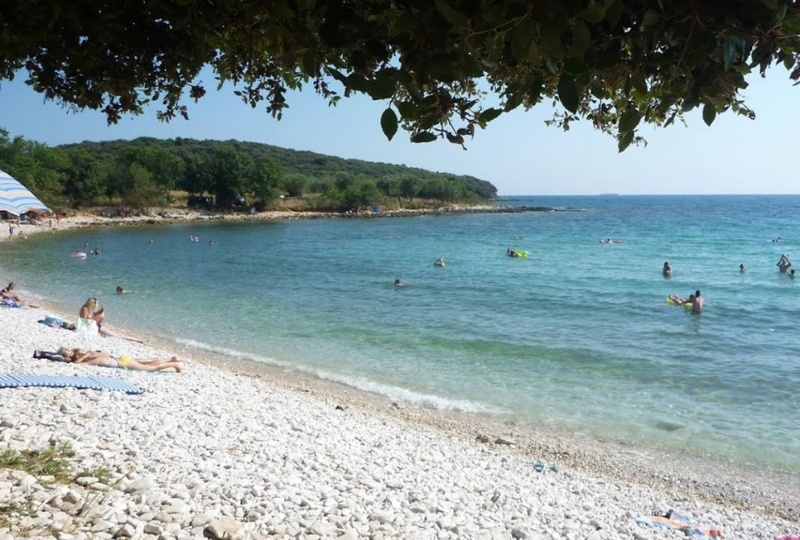 Beach Grotte Von Pula The sheltered beach in Mužilj bay is a natural environment that many love and appreciate. Access to the beach comes from a forest, a small trail leading to the pebble beach. The beach is mostly rocky, with side but accessible and suitable for sunbathing. They want to come here adventurers, people who do not suffer big crowds and lovers in untouched nature. The sea is extremely clean, pleasantly warm and beautiful in color. Rocks underwater give a reflection that revives the shades of blue and green. Sv. Ivan Pula is located on the same name Cape and is in contact with the sea from Sveti Ivan bay. It is very beautiful, clean and well-equipped. This beach is popular, which is not surprising given the location. Beach volleyball is indescribable, you simply have to experience it. Still, people who do not look for great benefits should come here. Next to the beach you do not have any facilities or catering offer. You are relieved to yourself, to fully enjoy the nature. The sea is very clean and beautiful. It is comfortable for swimming, and access to the sea is easy and convenient for all people. Kamenjak Beach Premantura This beach fully describes its name - Kamenjak is just a stone beach, more accurately rocky rocks. You can reach the beach by a car, which you leave on the elevation and continue to the beach on foot. When you descend to the sea, you will be greeted by large stone surfaces, and of course the sea that touches them. Beach - Klančac bay Brsec, a beautiful beach surrounded by rocks on three sides, near Opatija. In the vicinity of Rakalj there is the beach Luka. It is located in a cove, made of medium-sized cobblestones and bordered by rocks. The bay of Žbirac is nearby. This is an interesting detail, especially if you are working on vacation photos. The silhouette of tilted boats will be a great backdrop for good photos from the sea. The Kanica Beach Peruški is located between Peruški and Krnica. Some who can boast of such a beautiful beach. If you look at the photos you can see the beautiful beach surrounded by white rocks. The beach is made of medium-sized bushes, which are wholly white and give the best glitter in the summer sun. That's why the color of the sea is special here. The sea is clean and pleasantly warm, and the beach itself is very affordable. Getting to the sea is gentle and suitable for all people. Our beach is known to swirl waves, but not great to interfere with your bathing. If you visit us we are confident that you will enjoy it. We invite you to spend your holidays and have fun on our beach. 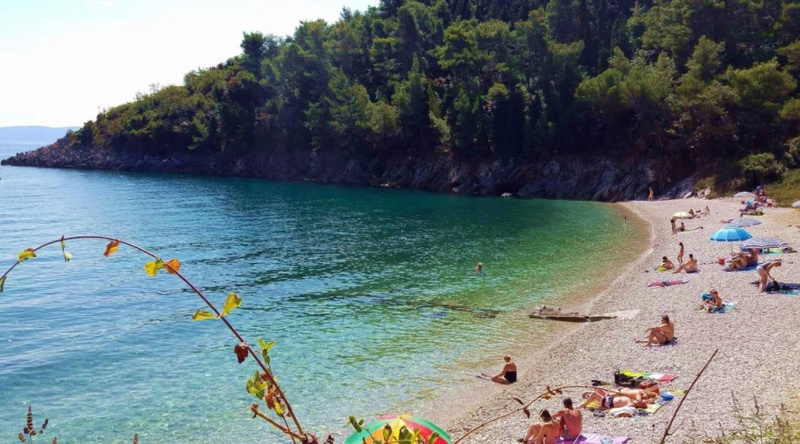 Guboka beach Rabac Labin is located in a completely natural setting, close to Sveta Marina beach. You will come to the trail through the woods and deep shade. The beach itself is made of gravel, it is very beautiful and clean. The sea here is calm, comfortable warm and extremely clean. On the side is the rocky coastline overgrown in the greenery, which gives an excellent contrast to the blue sea colors. 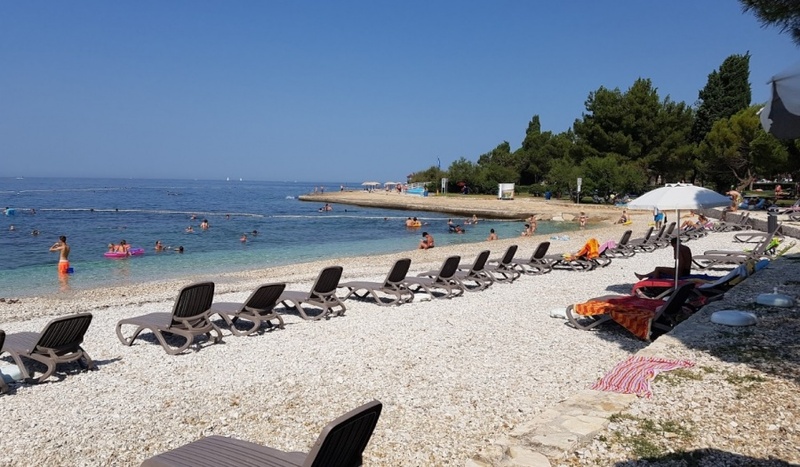 The Forest Park Zlatni rt is the largest Rovinj natural attraction, an ideal place for various sports activities and enjoying the natural environment and beaches. 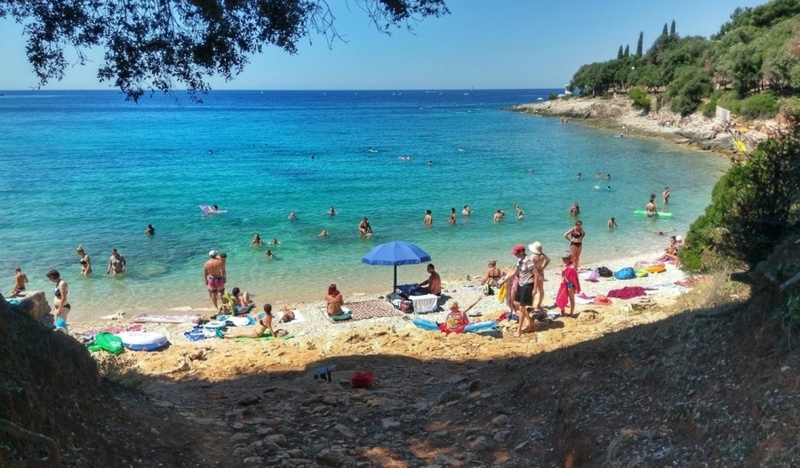 The park is also the largest gathering of swimmers in the summer in Rovinj, due to its indented coast that abounds in pebble bays largely oaked by rocks. Not far from Zlatni rt park there is the beach Cuvi Rovinj. Cisterna Beach Rovinj. 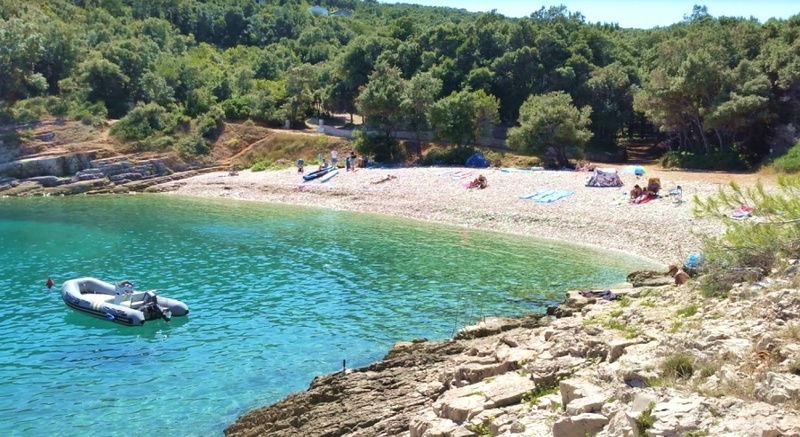 In the coastal area of Rovinj, this beautiful beach of Cisterna has also been found. It is made of medium-sized cobblestones, is isolated and located in a natural environment. However, on the beach you have a coffee shop that will come as a refreshing after sunbathing. The sea is calm and pleasant warm, and access to water is gentle. It is a perfect beach for a family outing or for young couples who want to enjoy the peace and not so much crowds. 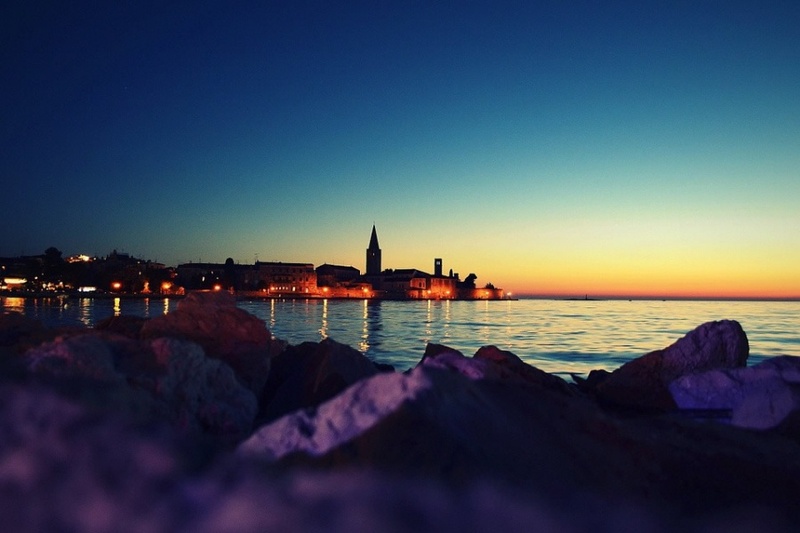 Mulini is a beach in the attractive area of Rovinj, which ends in the green area of the Golden Rt. The beach, from the center of the city, to the green areas, extends a beautifully landscaped walkway. Beach is one of the most popular in the city, and certainly among the nicest. 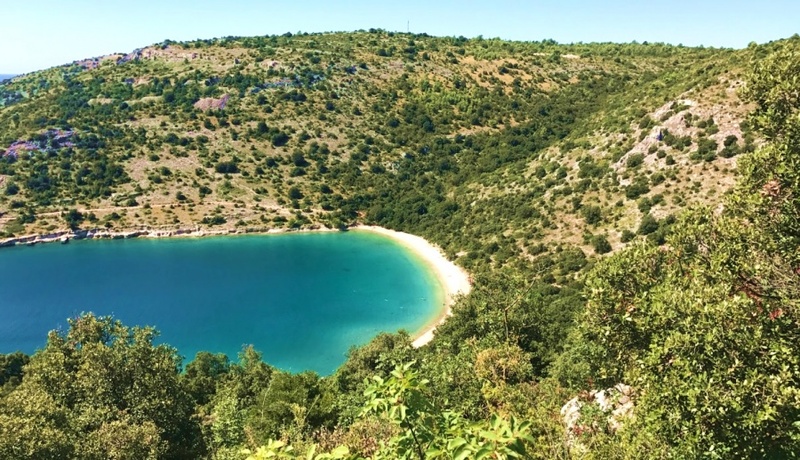 The Brijuni National Park, although known as the residence of Marshal Josip Broz Tito, the president of former Yugoslavia, has far more to offer to its visitors. Only 3 km from the Istrian coast, Brijuni is an oasis of plant and animal life, consisting of about 700 species of plants and about 250 species of birds. Of the interesting figures, there are 14 islets that stretch to about 7.4 km² of surface, while the entire national park area is about 34 km². The largest island, the Great Brijun, occupies about 75% of the total area. Interesting fact is that Brijuni have never been islands that tell us the depth of the Fažana Channel just 12 meters. Namely, about ten thousand years ago, the Brijuni were an integral part of the Istrian coast. The Arena in Pula is the largest monument of antique construction in Croatia, the sixth largest amphitheater in the world and one of the best preserved species in the world. Built in the first century, it is presumed to be sought by Emperor Augusta and the construction of the Vespasian Vespazijan was resumed, which is due to build the Roman Colosseum. The Pula Museum of Contemporary Art was founded in 2008, when it was registered at the initiative of the Istrian County. 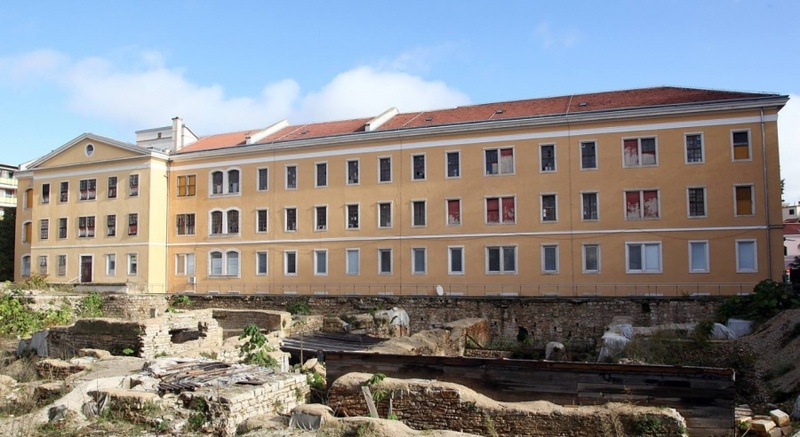 The museum still has its own museum building, but has been used for the Galery purpose-adapted space of Pula's Old Print, St. John 1, in Pula, which was handed over to the Museum of the City of Pula for use for 10 years by the Agreement on the Use of Old Printing on 01 June 2011. Cities of Pula and Rovinj. Both cities are rich in their cultural and historical sights and strong tourist offer.